Groopit gives leaders a modern way to pursue a church’s mission and inspire even the busiest people to participate. Define how members should contribute and be meaningfully involved every day, then lead the entire church on a journey together. "For every ten people who show interest in being involved, three actually follow through and get involved in a big way. The other seven people care and want to be involved, but they cannot volunteer at the level we're asking. Groopit has given us a way to involve and get the other seven participating." 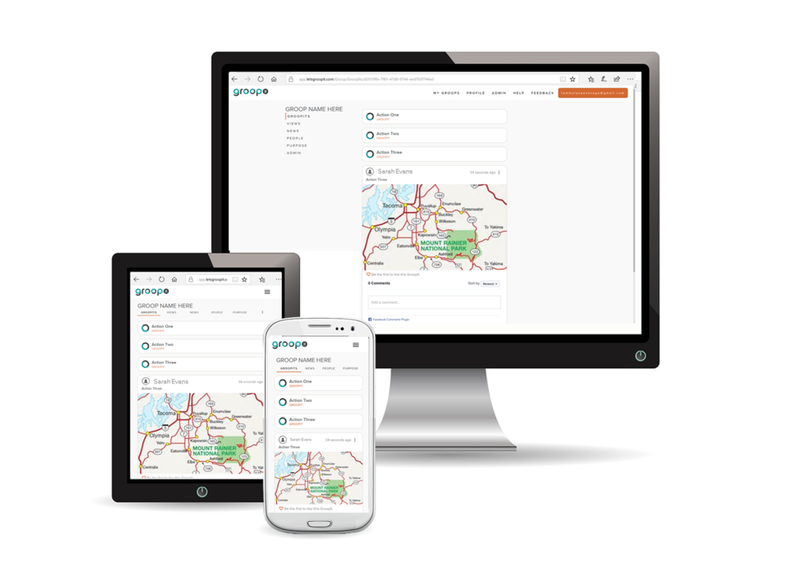 "After using Groopit a member commented, ‘There's always a quiet moment before picking up my kids from school. I would often check Instagram, but now I connect with my church.’ That is exactly what we want. We want our members connecting with their faith, faith community, and growing in their faith every day. Now we have a way to do that!" "Getting volunteers used to be a constant struggle...Groopit changed this dynamic... One of our large parish families needed meals. Before I left work, I took a couple of minutes to post a request on Groopit. After arriving home, I checked my mobile phone and discovered all 24 volunteers had signed up in less than 20 minutes!" Download the free, 35-page downloadable guide with everything you need to inspire even the busiest people to participate. It includes an overview of how a Church Groopit works, an organizer check-list, plus detailed how-to instructions and content you can use. Download it now. I agree to recieve content like this (to help me Start A Church Groopit) in the future. Groopit is free for one administrator and all the participants in your church.